More and more within the fashion industry, designers have been embracing the appeal of gothic western fashion, merging two seemingly unlikely genres into an iconic and powerful fashion statement. As we saw in 2013, Yves Saint Laurent’s lead designer Hedi Slimane dove head-first into merging gothic and western aesthetics, resulting in a hauntingly memorable runway show. 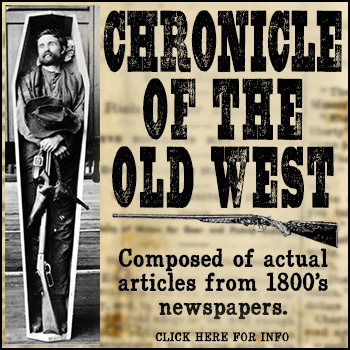 Since then, numerous other prestigious fashion houses have toyed with creating their own iterations of gothic western wear (however, usually on a limited scale within a more commercial collection.) 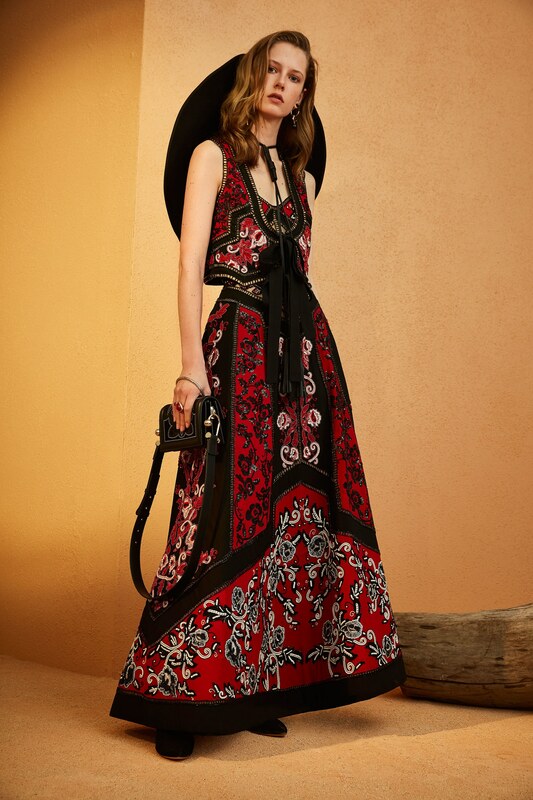 For instance, Dior’s Maria Grazia Chiuri took a single opportunity to showcase gothic western aesthetics within her Resort 2018 collection, opening the runway show with a striking southwestern-inspired graphic border print dress featuring a snake encircling a skeleton. But while Chiuri chose to predominantly remain within more of a utilitarian, almost bohemian take on the western clothing aesthetic, other designers have made more of a committed leap into the darker side of western fashion, exploring variations within the theme expressed through their own creative vision. Most recently, acclaimed Lebanese designer Elie Saab released a breathtaking Pre Fall 2018 collection of gothic western garments that would be equally as coveted by Stevie Nicks as they would be by Dolores from Westworld. True, there were smatterings of sky blue frocks here and there (and a few traces of pastel pink), but more often than not, black was the dominating color to express Saab’s vision of western wear. Renowned for his bridal and red carpet-oriented collections, Saab’s Pre Fall 2018 collection merges his well-trod path of covetable feminine silhouettes in luxurious fabrics, lush embroidery and decadent trims with some decidedly rugged elements. Which, when one recalls the famous Nudie suits of yesteryear (masculine, yet incredibly decadent and showy), it would appear that Saab has tapped into the true spirit of western wear…only this time, taking it in a decidedly more brooding direction. The collection’s color palette evokes the gorgeous terra cotta and berry shades present in the majestically picturesque Sedona mesas (which are naturally framed by vivid turquoise skies and earthy green foliage.) It is keeping this idyllic landscape in mind that Saab’s decision to inject touches of pastels into his bold collection becomes clear. Saab does well with capturing the feel of the Southwest, with several pieces within the collection calling to mind Georgia O’Keefe’s work (in particular, a skirt that resembles dripping war paint.) Repeated motifs of totem butterflies, hearts, and scrolling western florals are peppered throughout the elegant silhouettes, with great use of texture to create tension and contrast (i.e. boxy blazers and fringed leather biker jackets paired with frothy lace and chiffon frocks.) Studded and riveted harness belts and western boots, lariats, leather buckle chokers, and wide-brimmed gaucho hats worn rakishly off of the head help frame the looks with rebellious gothic western appeal. Some standouts in Saab’s collection include a black lace caftan with dramatically long fringe, a graphic crimson and black calico western vest and maxi dress twin set, a tie-neck black lace fit and flare maxi dress with a scrolling butterfly motif in blood red, turquoise and olive, and of course, a pair of perfectly pointy thigh high boots that give the appearance of glittery snakeskin. All in all, Elie Saab’s Pre Fall 2018 collection is a fascinating convergence of Saab’s own elegant and feminine design aesthetics with the rugged (and oftentimes masculine) spirit of the American Southwest.